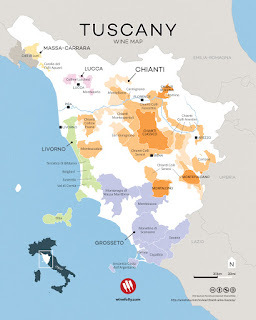 In the Boston area this past week we have experienced a blast of heat and definitely got me into the mood for some whites, which is the highlight of our Italian Food, Wine & Travel groups feature this month as we discuss the white grape of Italy, vermentino. Vermentino is a grape that can be found in a number of regions within Italy and as if it's not hard enough to learn about all the indigenous grapes of Italy, but in certain regions it is known under a different name. This grape can be found in Tuscany, Piedmont where it's known as Favorita, Sardinia and Liguria where it's known as Pigato. Vermentino is a dry, light-bodied aromatic white wine with refreshing acidity, floral and citrus notes and a finish at times that includes almonds. Jancis Robinson calls vermentino a grape that is "racy, citrus, often mineral and sometimes marine character of refreshing dry wine, usually unoaked and moderate in alcohol". 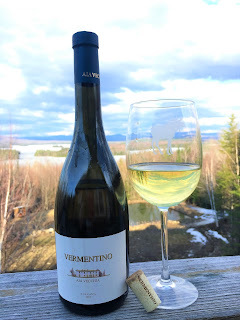 I opened a 2015 Aia Vecchia Vermentino of Tuscany that I had on hand last week and days later happened to receive an invitation to meet one of the members of the Pelligrini family that produces the wine so it all happened at just the right time. Aia Vecchia is located between Bolgheri and Castagneto Carducci and lies oalong the Tyrrhenian Sea. The winery began in 1996 with their first vintage in 1998. Their aim was to produce wines of high quality from small plots that were Super Tuscans. Prior to producing their own wines most of their grapes were sold to other historic estates in the area. They have vineyards in both the Maremma and Bolgheri areas of southern Tuscany. Of their 104 acres of vines planted, 74 of those are under the Bolgheri DOC. Within Bolgheri you’ll find more international varieties like merlot and cabernet sauvignon vs. the more indigenous grapes of Italy. 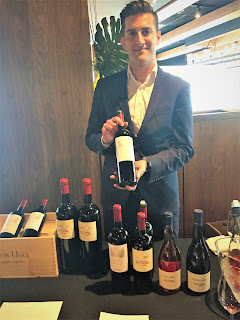 Aia Vecchia grows Bordeaux grapes including cabernet sauvignon and cabernet franc, merlot and petit verdot which are showcased in their wines "Sur Ugo and Lagone" that I tried at the event this week and will share in an upcoming article. 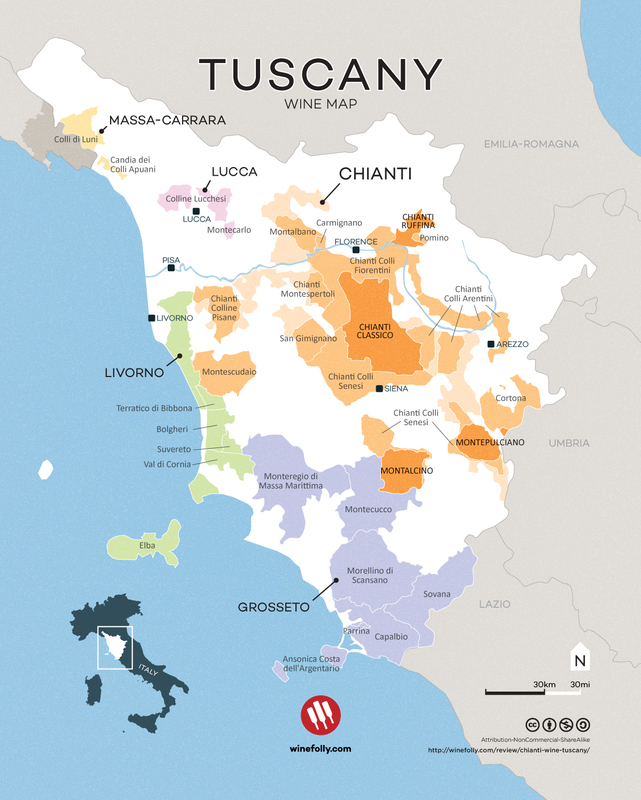 The vermentino I’m sharing today grows on their estates known as Magiano in Toscana and Orbetello located in Grosseto. There is a small percentage, 5%, of this wine that includes viognier for weight and florals. The 2015 Aia Vecchia Vermentino Toscana IGT was straw colored with lemon and citrus notes in the glass. A dry white light on the acidity and a round mouthfeel with some tropical notes and a hint of almond. I enjoyed the 2016 that I had at the tasting more than the 2015 due to its salinity and citrus notes, but I personally feel with a lot of these white wines the fresher the better. SRP $14. 13% ABV. Join the rest of our Italian crew this Saturday May 5th live on Twitter at 11am EST #ItalianFWT and learn all about vermentino around Italy. Join in the fun! See you then for a taste of summer. Gwen from Wine Predator is sharing "You Need To Know Vermentino: Paired with Carbonara #ItalianFWT"
Lauren from The Swirling Dervish is writing "Vegetarian Plates and Pigato from A.A. Durin: Perfect for Your Summer Table"
Jill from L'Occasion is adding "Vermentino from Maremma, Land of The Butteri Tuscan Cowboys"
Jane from Always Ravenous is penning "Which Vermentino to Pair With Shrimp & Fresh Herb Pilaf?" Lynn from Savor the Harvest is contributing "One Italian Island White Wine You Must Try"
Katarina from Grapevine Adventures is dishing on "Vermentino by Antonella Corda - An expression of Sardinia Terroir"
David from Cookingchat is giving us "Salmon with Lemon Olive Relish and a Vermentino"
Nicole Ruiz Hudson from Sommstable is bringing "Piero Mancini Vermentino and Salmon Two Ways"
Camilla Mann from Culinary Adventures with Cam is posting "From Sardegna to the Land Down Under: Vermentino + Pizza alle Vongole"
Wendy from A Day In The Life on The Farm gives us "A Successful Search for Vermentino".